Faith meets style in this unique design for the man in your life. 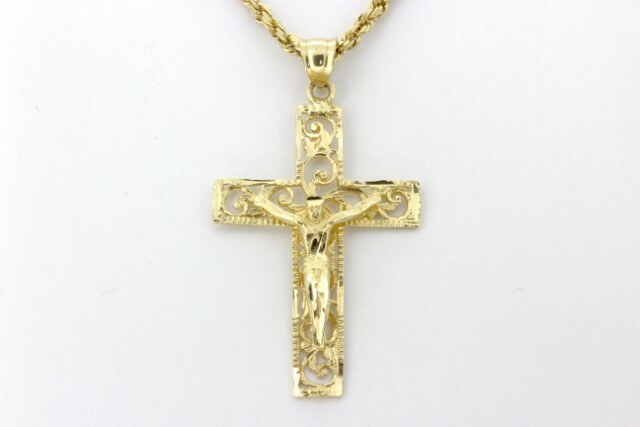 Crafted in 14kt yellow gold, this uniquely designed cross necklace features fine milgrain work in this stylish cross with a crucifix. Buffed to a brilliant shine, this cross suspends from a 22-inch rope chain secured with a barrel clasp with an added side safety.